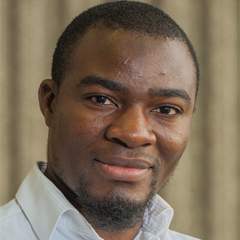 Dr. Adewunmi is an active researcher at the Center for Integrative Petroleum Research, the research hub of the College of Petroleum Engineering and Geosciences at KFUPM. His area of research includes enhanced oil recovery, polymer gel design for water control in the petroleum industry, emulsion technology and nano-materials for diverse applications. Ph.D., Chemical Engineering, University Sains Malaysia, 2017. M.Sc., Chemical Engineering, KFUPM, KSA, 2011. B.Sc., Chemical Engineering, The Federal University of Technology, Nigeria, 2006. Polymer rheology, polymer gels design for water control in oil mature oil fields, nanotechnology application in enhanced oil recovery (EOR), fluids characterization for enhanced oil recovery (EOR) applications, and polymer characterization/nanocomposites/materials. A. Adewunmi., Selvin. T. P., Abdulhadi A. A., De. S. K., and Muataz A. A., “Effect of Modified and Non Modified Carbon Nanotubes on the Rheological Behavior of High Density Polyethylene (HDPE) Nanocomposite”, Journal of Nanomaterials, vol. 2013, Article ID 731860, DOI:10.1155/2013/731860. A. Adewunmi., Suzylawati Ismail., and Abdullah. S. Sultan., “Study on strength and gelation time of polyacrylamide/polyethyleneimine composite gels reinforced with coal fly ash for water shut-off treatment”, Journal of Applied Polymer Science, DOI:10.1002/app.41392. A. Adewunmi., Suzylawati Ismail., and Abdullah. S. Sultan., “Laboratory scale study on rheological behavior, morphological and structural properties of crosslinked polyacrylamide composite hydrogels embedded with date seed powder”, Journal of Applied Polymer Science, DOI:10.1002/app.42110. Ahmad. A. Adewunmi., suzylawati Ismail., and Abdullah. S. Sultan., “Carbon Nanotubes (CNTs) Nanocomposite Hydrogels Developed for Various Applications: A Critical Review”, Journal of Inorganic and Organometallic Polymers and Materials, DOI: 10.1007/s10904-016-0379-6.